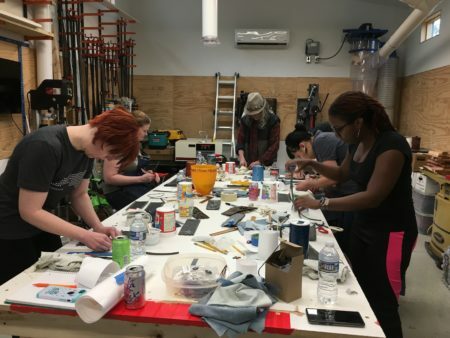 We had such a fun weekend in Charlotte, NC, teaching an Intro to the Organic Armor Arts workshop. We worked with 6 lively, creative costumers who regularly bring the weird to the Queen City. In Asheville, Charlotte has a reputation for being straight and boring, but these fine folk belie that idea! It was great for Paul to feel the love after such a trying winter! We are available to do our two day workshop in your space too. 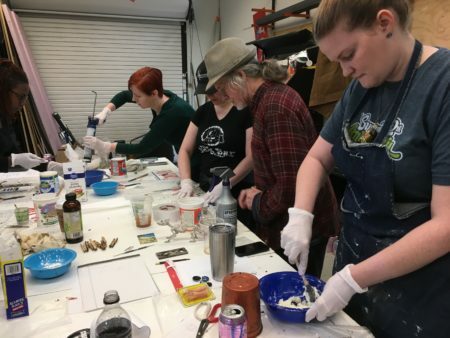 We teach the basic 7 steps of the Organic Armor Arts, plus a 2 hour Oogoo moldmaking session. I’d love to do 6 of these a year. We get to discover new places and meet fascinating creative people, what’s not to love?